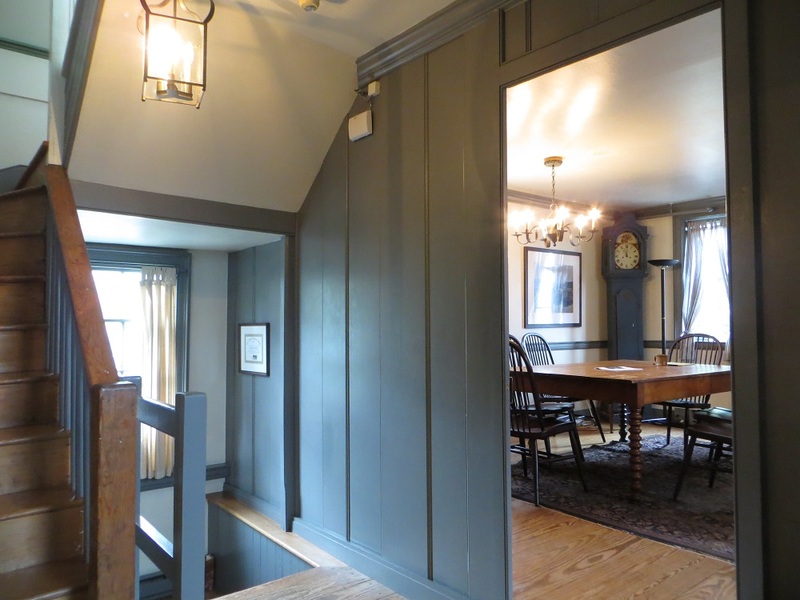 I’m a volunteer for the Historic Annapolis Foundation, an organization dedicated to preserving the historic buildings and teaching the history of Annapolis, Maryland. 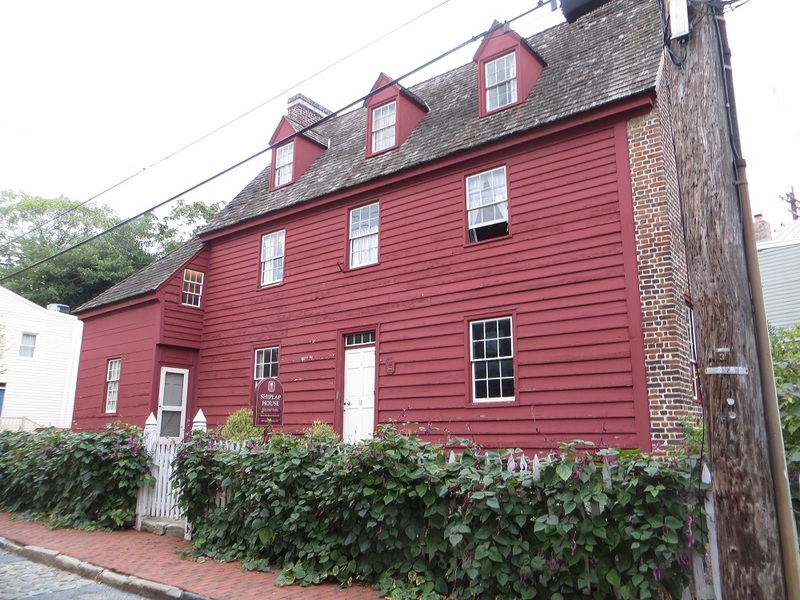 It runs a museum and several historic houses, and is headquartered in one of the oldest – and, reputedly, one of the most haunted — buildings in Annapolis, the 1715 Shiplap House. I’m generally not in the Shiplap House but spent a few days there a couple of weeks ago, doing prep work for some special events. I was on the second floor, in the room with the window to the left (looking toward the house) of center. Once a tavern, the most active of the Shiplap ghosts is a tavern wench – murdered by a customer and left in the back yard — who annoys female occupants of the house. Now I must say that I’m a skeptic when it comes to ghosts. I’m not saying that there’s no such thing – there are more things in heaven and earth, Horatio, than are dreamt of in your philosophy — but nothing I’ve seen, heard or read convinces me of their existence. Still, as a history tourist, I’d like to think that there are people from the past clattering around us. So when I got the Shiplap assignment, I hoped that Adrianne (Rocky Balboa’s wife was a tavern wench?) would make an appearance and try to punk me. Nothing happened during my week at the house. Creaking floorboards above were the result of a wandering marketing intern. And disappearing papers were the result of my aging memory. On my final day there, I snapped a few photos for a possible future blog post and went away disappointed. Then I looked at the photos on the camera. 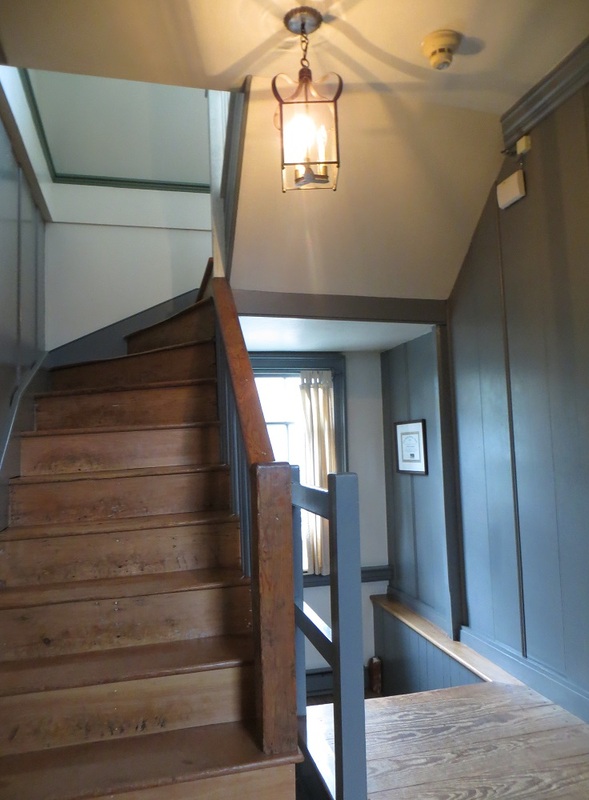 One of them – of the stairwell leading up to the dormered third floor — was sideways. I uploaded it to my computer. Still sideways. I didn’t move the camera or change the settings in any way during my quick photo session. I stood at one spot in the hallway and snapped one shot after the other. There’s no reason that one photo should be different from the others. Except. Adriaaaannnneeee! Gallery | This entry was posted in Maryland and tagged haunted houses in Annapolis, Historic Annapolis Foundation, Shiplap House. Bookmark the permalink. It’s not open to the public. But they probably wouldn’t mind if you poked your head in for a look. I live in Baltimore, so I will need to add the Shiplap house to my list of sites to see! I also want to take a tour of the State Capitol. I ran through the Capitol once, on a day that they were doing renovations and I couldn’t go into any of the rooms. So I need to go back. Its a beautiful building. Ghosties love to mess with technology!! That’s what I hear. Whenever I think of ghosts, I actually think of your house. Now that you’re out of there, I don’t mind telling you — that was one creepy house. I spent a portion of the first year afraid to look in the bathroom mirror – afraid I would see the previous owner. But after changing stuff out and making it my own it all settled down. I wonder if the new owners are having any similar experiences.